← North Cyprus – Road Traffic – Drive with Care in North Cyprus and save Lives! 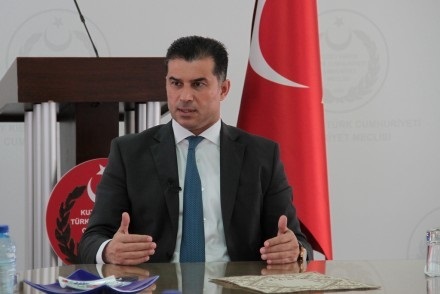 Prime Minister Hüseyin Özgürgün has stated that the town of Güzelyurt, in north-west Cyprus, “can never be given away”. Prime Minister Özgürgün said that the Greek Cypriots got everything they wanted on the agenda for the upcoming negotiations in Geneva between 9 – 12 January. It is important to be clear to prevent confusion and misunderstanding, the Prime Minister noted. “If we speak frankly, you will see that the Greek Cypriots got everything they wanted. The only thing that the Greek Cypriots have not succeeded in is the withdrawal of Turkish troops from the island. I know what’s going to happen at the five-party conference. They’re going to try and pressure Turkey into taking steps on the issue of guarantees, insisting that everything else is agreed to. “However Turkey will not fall into such a trap” he added. Özgürgün also stated that the Turkish President Recep Tayyip Erdoğan’s participation in the five-party conference is very important and indicates the importance that Turkey has attached to a solution in Cyprus. Özgürgün indicated that he doesn’t believe that Turkey would approve a settlement that would give Güzelyurt away as a territorial concession. He said that Turkish President Recep Tayyip Erdoğan clearly expressed in his visit to the TRNC in 2008 that Güzelyurt would not be given away and their attitude in this manner has not changed. Özgürgün was asked about a statement by the UN Special Advisor Espen Barth Eide, who said that “If Turkish Cypriots are concerned about their security, then police power will ensure their security instead of the Turkish troops”. Özgürgün said that this statement is senseless, and that Mr. Eide is a Norwegian diplomat, and Norway never had such problems. 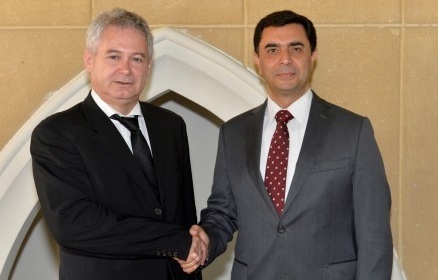 As part of the Cyprus negotiations, the Negotiators, Turkish Cypriot Negotiator Özdil Nami and Greek Cypriot Negotiator Andreas Mavroyiannis, met again yesterday. The two parties discussed principles relating to the implementation of the solution at the meeting. During the intensified negotiations that they started following the Mont Pèlerin summit, the negotiators looked over the issues of federal legislature, the judiciary, the federal government, its authorities and the relations between constituent states, foreign relations, police issues, the work of the EU Ad-hoc Committee and economic issues. As part of the projects in Gazimagusa financed by the EU Commission and implemented by the UN Development Program and the Cultural Heritage Technical Committee, the walls of the Martinengo Bastion (Double Mazgal), the Sea Gate and the Canbulat Gate are being protected, drained and restored. These projects serve to preserve and protect the island’s cultural heritage. These projects are being undertaken on a budget of 1.1 million Euros which has been provided by the EU. The Committee aims to finish the projects in March or April next year. Once these projects have been completed, the Committee is planning to restore 4 churches around the Double Mazgal. 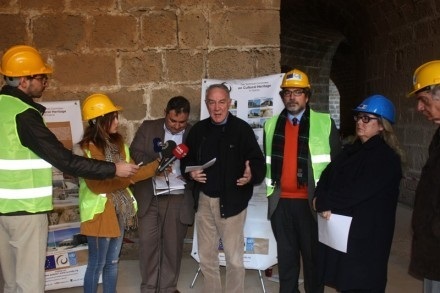 This entry was posted in News and tagged Andreas Mavroyiannis, Özdil Nami, Cultural Heritage Technical Committee, Cyprus negotiations, Huseyin Ozgurgan, North Cyprus, TRNC. Bookmark the permalink.